She's also become a tough nut to crack, given her impressive ability to live a relatively low-key life. However, when you're marrying into the world's most famous royal family, you better believe that no stone shall be left unturned. Here are some things you probably never knew about Middleton. Middleton met her future husband in 2001 when they were both students at the prestigious University of St. Andrews in Scotland, but their whirlwind campus romance wasn't exactly love at first sight. They reportedly spent about a year in the friend zone before they started dating. "William wasn't [at University] for quite a bit of the time initially; he wasn't there for Freshers Week," Middleton told Tom Bradby of the UK Press Association (via ABC News) in 2010. "So, it did take a bit of time for us to get to know each other. But we did become very close friends from quite early." William elaborated: "We moved in together as friends because we were living together; we lived with a couple of others as well, and it just sort of blossomed from there really. We just saw more of each other, and … hung out a bit more and did stuff." Middleton's upbringing was far from the luxurious life William and his family experienced living in Buckingham Palace. Her parents, Michael and Carole, met while they were both working for British Airways, but they decided to establish roots when daughter Kate reached school age. It was Carole who had the idea for Party Pieces, an online business specializing in decorations for kids parties. Despite their entrepreneurial success, their daughter was still labeled a "commoner" in the press. In fact, she became the so-called commoner to marry into the royal family in about 350 years. If you were a girl growing up in the 1990s, odds are you had a little crush on Prince William. It was rumored that Middleton took her crush to borderline obsessive levels and even had a poster of her future husband on her bedroom wall. 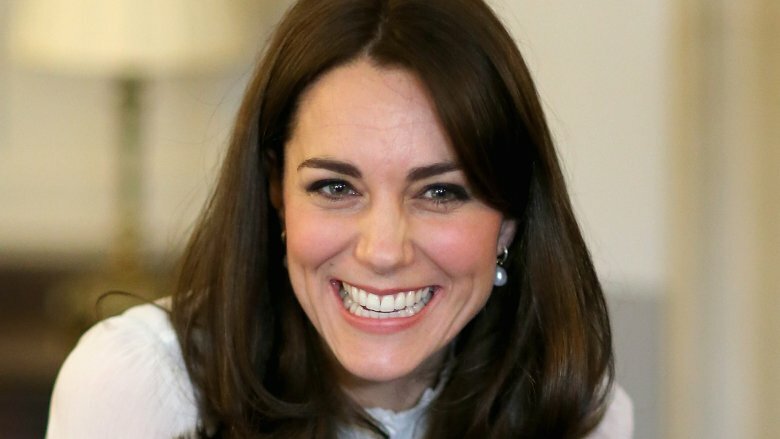 Former classmates told The Telegraph that was the case, claiming Middleton would always say "there's no one quite like William" when their talks turned to boys. The William poster made for a good story, with Middleton painted as the girl who married the Prince of her dreams, but as it turns out, it definitely wasn't true. 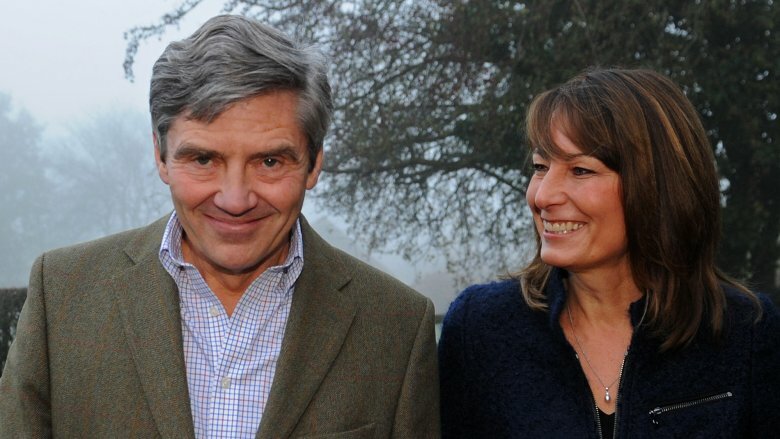 The Duchess set the record straight in the couple's 2010 interview with Bradby, revealing that there was someone else she had a crush on back then. "I had the Levi's guy on my wall, not a picture of William, sorry," she said, referring to a popular ad campaign for jeans in the '90s. 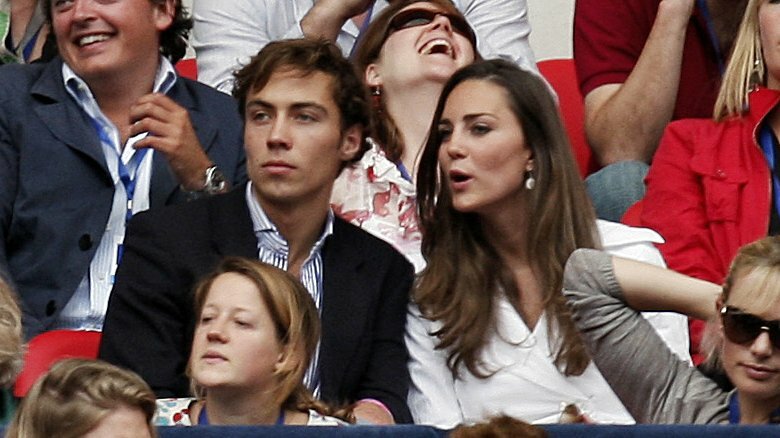 They're a picture of marital bliss today, but back in 2007, it was pictures of Middleton taking in a tennis match with another man that dominated headlines. Not even royal relationships are immune to setbacks, and with rumors of wedding bells rife in the press, Prince William shocked followers when he decided he needed some space from Middleton. "We both were very young, it was at university, we were sort of both finding ourselves as such and being different characters and stuff," William explained in 2010. "It was very much trying to find our own way and we were growing up, and so it was just sort of a bit of space and a bit of things like that and it worked out for the better." William was the one who briefly brought the relationship to an end, though even Middleton later admitted that it was ultimately for the greater good. "I think I at the time wasn't very happy about it," she said. "But actually, it made me a stronger person. You find out things about yourself that maybe you hadn't realized — or I think you can get quite consumed by a relationship when you are younger — and I really valued that time for me, as well, although I didn't think it at the time." The couple reunited a few months after their split and have been going strong ever since. She may be one of the most famous Brits around, but Middleton actually has the blood of one of the most important figures in American history running through her veins, albeit in very diluted form. 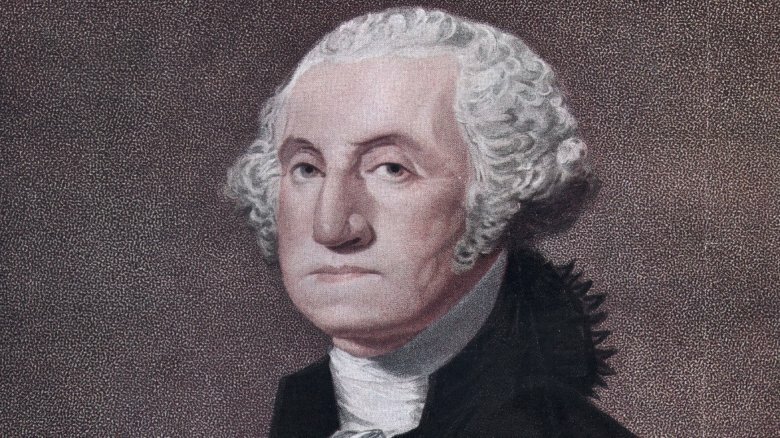 In 2010, the New England Historic Genealogical Society (via CBS News) uncovered that Middleton is actually related to George Washington, the first President of the United States. By "actually," we mean she's an eighth cousin eight times removed. But, hey, that's still pretty cool. The New England Historic Genealogical Society also said Middleton is a ninth cousin seven times removed of Meriwether Lewis, of Lewis and Clark, as well as a 13th cousin three times removed of U.S. Army General George S. Patton. 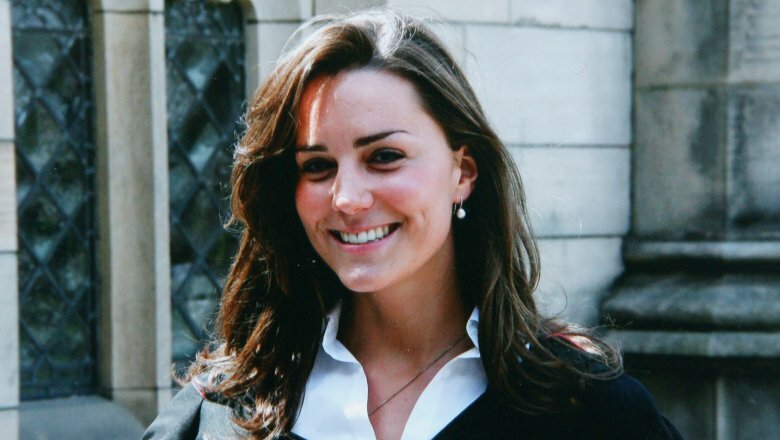 All of this information was compiled in a book entitled The Ancestry of Catherine Middleton (via CNN), which did a deep dive into the duchess' roots. Among the more surprising finds was that Middleton is also sixth cousins with British filmmaker (and Madonna's ex-husband) Guy Ritchie. 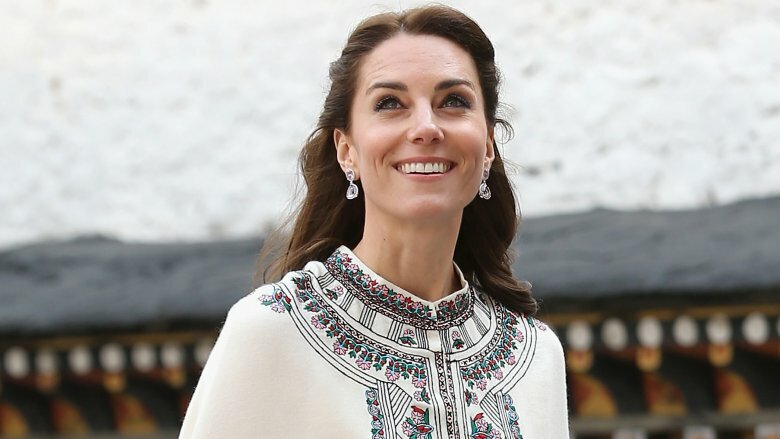 Middleton was hospitalized in December 2012 for a condition called hyperemesis gravidarum, an acute and severe form of morning sickness that can cause nausea, vomiting, fainting, and weight loss, among other symptoms. Bad cases require the mother to be hooked up to an IV and kept under watch. Middleton's hospitalization ultimately prompted the Royal family to confirm that, yes, she was pregnant with her first child, son George. 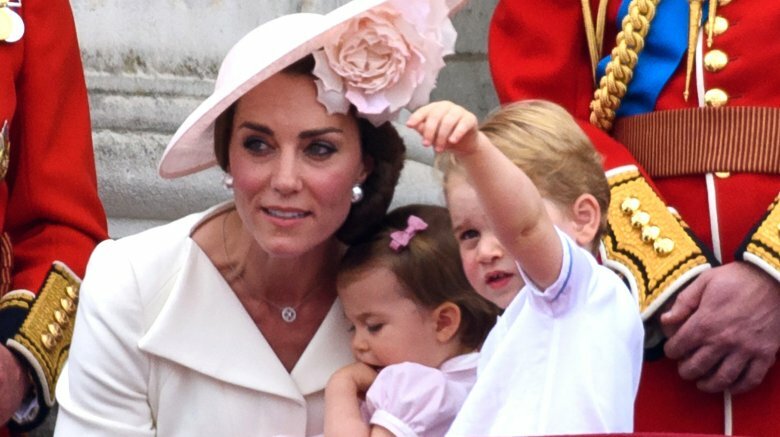 Unfortunately for Middleton, the debilitating condition returned with full force in 2014, when she became pregnant with her second child, daughter Charlotte. "Quite frankly, the comparison of hyperemesis to morning sickness is like breaking your arm in several places and then being told you've just knocked your funny bone," sufferer and The Guardian writer Miriam Phillips said of Middleton's plight. "Hopefully, this increased media attention will help the poor expectant mums, who like me, were wiped out by the condition." The Duchess' health forced the royal family to announce both pregnancies sooner than it would have liked, and it all happened the same way with the recent announcement of a third royal baby. According to The Sun, Middleton was rushed to a hospital in Scotland while visiting the Queen at Balmoral in 2017. Sadly, Middleton's severe morning sickness wasn't the worst thing about her first pregnancy. After learning that the Duchess was being treated for her hyperemesis at Westminster's King Edward VII's Hospital, the hosts of an Australian radio show decided to call the hospital and pretend to be the Queen and Prince Charles. The staff member who answered the phone was named Jacintha Saldanha, and she was fooled by 2Day FM DJs Mel Greig and Michael Christian, transferring their call to the nurse in charge of Middleton. 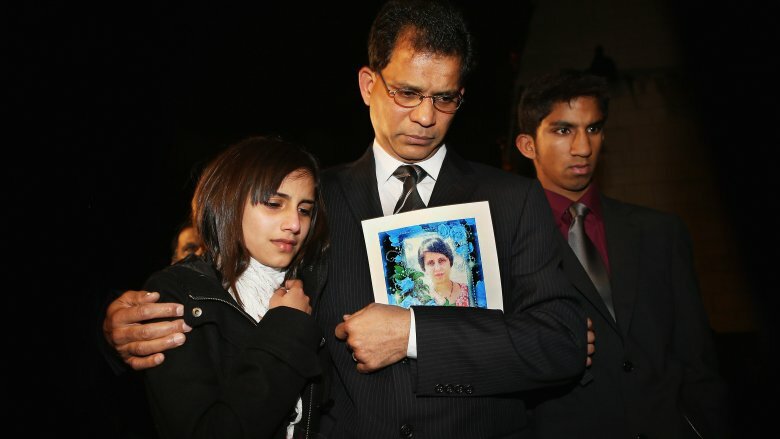 The phone call was broadcast, and a few days later, Saldanha — a wife and mother — was found dead by suicide. "[It was] the worst phone call I've ever had in my life," Greig told A Current Affair (via The Guardian). "There's not a minute that goes by that I don't think about what that family is going through and the thought that we may have contributed to it is gut-wrenching," she said. Her on-air partner said they were "shattered" by the news of Saldanha's death, claiming they never expected her to fall for their accents. "We had the idea for a simple harmless call, a call that would go for 30 seconds that we thought we would be hung up on," Christian said. An investigation cleared the pair of any culpability, though Greig claims to have considered suicide after being labelled a "nurse killer" in the media. Middleton is accustomed to the press digging into her past, but one thing she managed to keep out of the papers for years was the location of her early childhood home. When her father was still working for British Airways, he was offered the chance to move to Jordan as part of a promotion that included extended maternity leave for his stewardess wife, Carole. This interesting info was made public in 2011, when the first online biography of the duchess was released. The family moved to Jordan's capital city of Amman in May 1984, when Kate was 2 years old and her sister, Pippa, was just 8 months old. According to the Daily Mail, the broods' "shabby" three-bedroom rental has since become a medical center for sick children. Their former landlord apparently remembered the Middletons well. "Mike had sent his family home for Christmas and his hot water boiler broke," Nicola Nijmeh recalled. "So he knocked on my door in shorts and slippers to tell me what happened. I told him to take a shower in my house and turned on the hot water. He got his clothes, took his shower and went out for New Year's. I stayed til morning working on the boiler." Middleton's troubles with the paparazzi began in 2010, before she married into the royal family. William's then-girlfriend was photographed playing tennis during a Christmas break in Cornwall, and the pics were bought by agency Rex Features, who syndicated them overseas after the British media refused to publish the images. Middleton took the matter to court and was awarded thousands in damages, which she donated to charity according to a spokesperson (via The Telegraph). Unfortunately, that incident proved tame compared to the scandal yet to come. In 2012, she and William were vacationing in what they thought was a secure villa in France, though one persistent pap managed to secure a photo of the Duchess trying to catch an even tan on her top half. Again, the Royals sued. "My wife and I thought that we could go to France for a few days in a secluded villa owned by a member of my family, and thus enjoy our privacy," William said at the trial (via MarieClaire). "The clandestine way in which these photographs were taken was particularly shocking to us as it breached our privacy." That lawsuit is still rumbling on today, but Closer — the French magazine that published the images in question — is expected to shell out around 1.5 million euro for damages when all is said and done. Public outrage over this incident has done little to discourage international media outlets from hounding Middleton. German tabloid Bild published a picture of her bare bottom in 2014. You're probably wondering how you missed such a huge cinematic event, right? Don't worry, this low-budget romance was neither huge nor particularly cinematic. 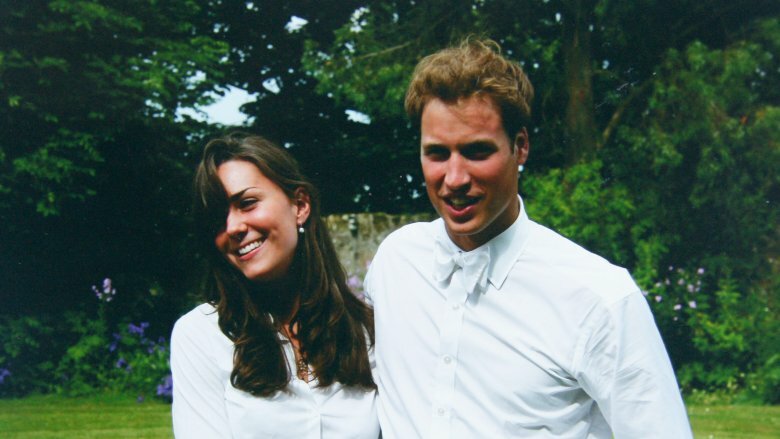 Lifetime feature film William and Kate aired on cable TV in 2011, just 149 days after the royal couple announced its engagement. The movie came out to very little fanfare (not a single Rotten Tomatoes critic has bothered to review it,) but when the UK's Channel 5 picked up the flick to show overseas, Brits reportedly didn't know whether to laugh or cry at what they were watching. "This may be made for the US, but the English will cherish it in ways its makers could scarcely have envisaged," London's Evening Standard said in its rather sarcastic review. The Guardian claimed the movie was so terrible that it could well become a cult classic: "So bad it's awful, toe-curlingly, teeth-furringly, pillow-bitingly ghastly. You begin to wonder what the happy young couple have done to deserve this. It will probably be a smash." The Telegraph, The Express and Radio Times also trashed the movie in their reviews, but there were at least two people who were apparently happy with it: the Duke and Duchess themselves! "We heard that Will and Kate did see the film — from an insider — and they loved it," actress Camilla Luddington, who plays Middleton in the factually inaccurate rom-com, told Access Hollywood. In 2014, a video surfaced on YouTube of an 11-year-old Kate Middleton in a school production of My Fair Lady playing the lead role of Eliza Doolittle, a common flower girl who attempts to pass herself off as a Duchess. Middleton delivers a pretty decent performance of one of the musical's hit songs, "Wouldn't It Be Loverly," in the grainy home video, singing about wanting "one enormous chair" in "a room somewhere." The irony of it all certainly was not lost on the press, who jumped all over the lyrics and compared Middleton's real life story with that of her character. According to the Daily Mail, the production took place in 1993 at St Andrew's School in Berkshire, a $20,000-per-year feeder school for the university where Middleton met Prince William. Her love interest in the production was played by none other than Andrew Alexander, who went on to make a career out of acting and is thus far best known for playing aristocrat Sir John Bullock in Downton Abbey. Middleton wasn't interested in the bright lights of Hollywood. She gave her final performance two years later when she starred in the school's production of Victorian melodrama Murder in the Red Barn at age 13.